What is the Coomera Town Centre? The City of Gold Coast outlines the upcoming 1.5 billion dollar development as a greenfield town centre within the Gold Coast's northern growth corridor, one of the most dynamic and quickly growing regions within South East Queensland. 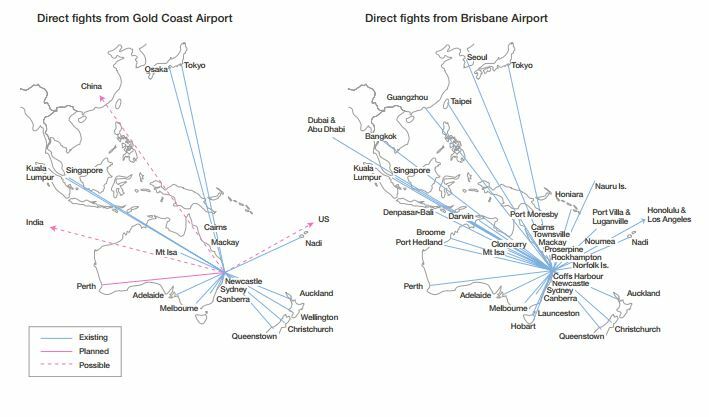 The town centre's location and expected growth will make it a key driver of the Gold Coast economy. The Coomera Town Centre, to be developed by Scentre Group and QIC Real Estate will contain two department stores, discount department store, cinemas complex, a tavern, two supermarkets, six mini major tenancies, 123 specialty stores and 61 food outlets. It has an approved floor area of 93,320m2. Construction work commenced on the 18 hectare site in late 2015 with a 2017 completion date. 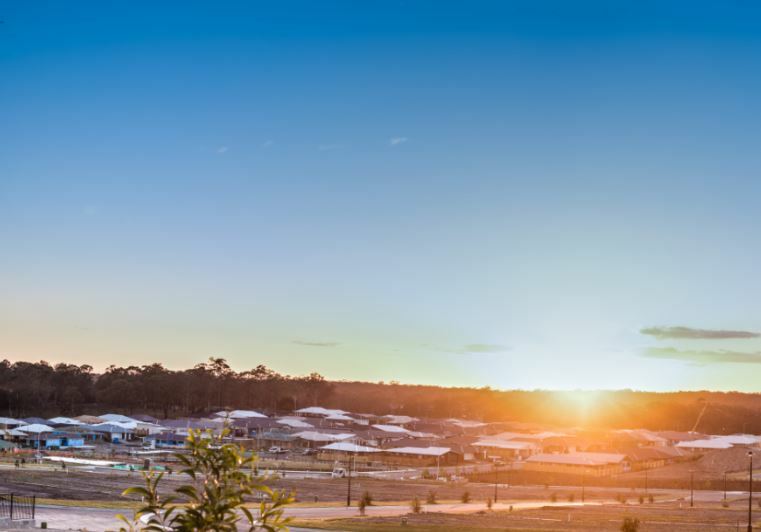 As a major activity centre, the Coomera Town Centre will serve a catchment of regional significance, and accommodate key concentrations of employment and a significant residential population. It will provide a range of business, service and retail functions as well as district or branch offices of government, and cultural and entertainment facilities of regional significance. Source: City of Gold Coast & UDIA. What is the vision for the Coomera Town Centre? The Coomera rail station will become the heart of the town centre with surrounding development encouraging people to live, work and play in the area. This will contribute to an emphasis on walking, cycling and using public transport to access the town centre. It is envisaged that the Coomera Town Centre will become an active and vibrant town centre accommodating a mix of uses in close proximity to the rail station. The Coomera Activity Centre Precinct is the core or 'heart' of the Coomera Town Centre. The precinct is intended to provide the focus for major retail, commercial, cultural, civic, entertainment, leisure and related development, integrated where appropriate with high density residential accommodation that provides for a diverse range of accommodation needs, income levels and life stages as part of mixed use developments. High density residential accommodation is encouraged on upper floors to maintain the activity in this area day and night, seven days a week. Leda Living at The Meadows Estate is the largest and closest Masterplanned estate to the upcoming Coomera Town Centre. 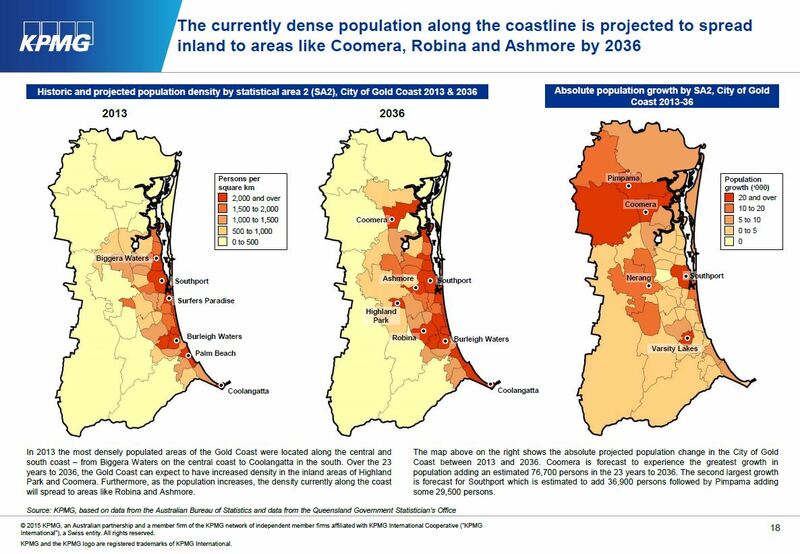 In 1995 the Gold Coast City Council and State planning and transport departments hired a consultant team to plan by charrette a new transit-orientated town of 70,000 people on 5,000 hectares. Largely undeveloped, the site transitioned from rainforest ridges in the west, to gentle slopes stretching eastward to an alluvial coastal plain, with several streams and important natural habitats. Under considerable growth pressure, the site had about 600 different ownerships, with the Gold Coast Railway and three potential stations bisecting it. 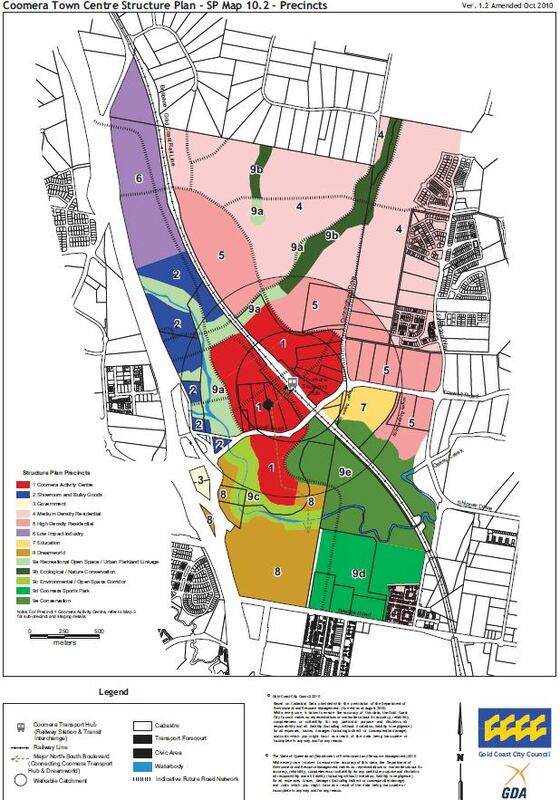 The Charrette produced and indicative Regional Plan and several Town and Neighbourhood plans, which enjoyed general stakeholder, developer and government agency support. The Charrette Regional Plan clustered several neighbourhoods around three transit- orientated towns at the Gold Coast Railway's three possible station sites. Major natural habitats and corridors are preserved, and bus-based neighbourhoods were distributed as efficiently as the constraints allowed. The major town centre west of the Coomera Station will span Foxwell Rd and link southward into Dreamworld. The Coomera Town Centre Local Area Plan covers land tightly constrained by adjoining wetlands to its south and west, and anticipates a university, hospital, major comparison retail, other businesses and extensive higher density residential in an interconnected and highly walkable street network around Coomera Station. For further information see the City of Gold Coast. 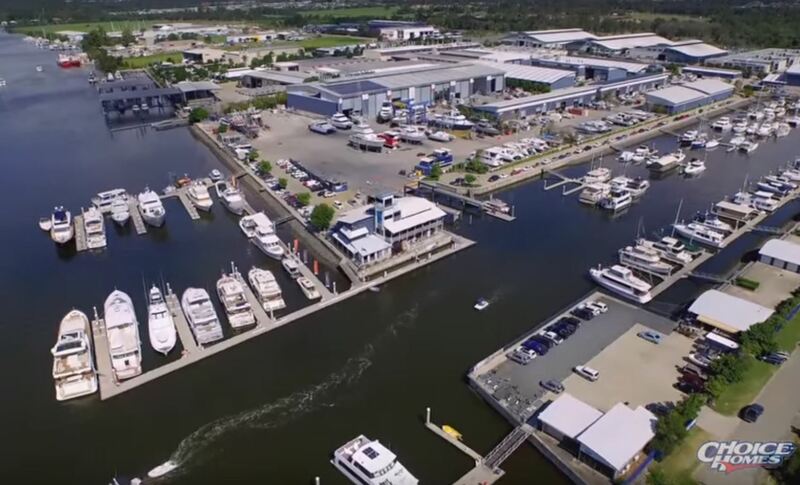 The Gold Coast Marine Precinct (GCMP) is the major marine industry industrial area within Gold Coast City dedicated to manufacture, servicing/repairs and refits of recreational boats. An estimated $120 Million has been invested by the private sector to develop this area Major private sector companies established in the Precinct include the Gold Coast City Marine Complex, Riviera Marine, Maritimo Offshore, Quintrex, Perry Catamarans and Mercury Marine. The Precinct currently contains 60 individual businesses employing an estimated 2500 people with virtually all of these new jobs created as an outcome of the establishment of the Precinct. 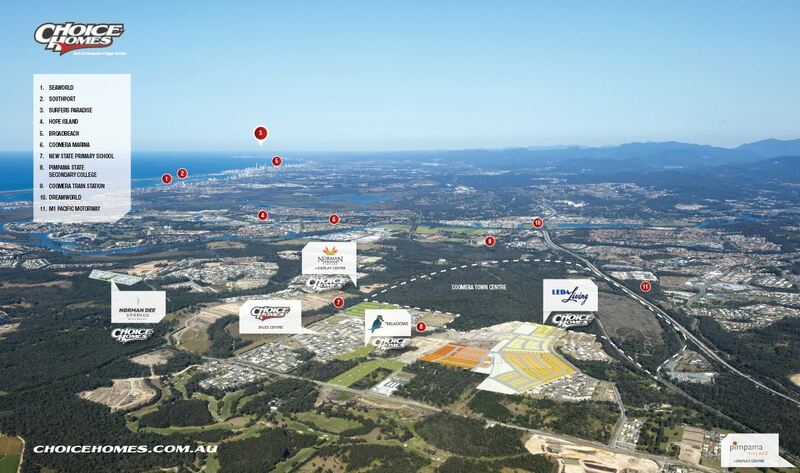 City of Gold Coast's estimate is that the ultimate development of the Precinct could conservatively yield 5000 jobs. City of Gold Coast. 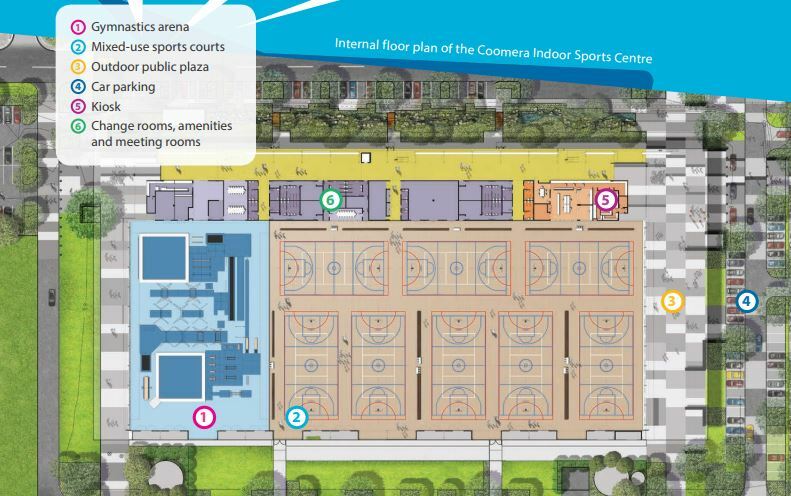 The Coomera Indoor Sports Centre will provide an important piece of community infrastructure for one of the Gold Coast's fastest growing regions. Located within Coomera Sports Park, this new multi-purpose facility will accommodate a range of elite and community sports such as netball, volleyball, basketball and gymnastics. The venue has been designed to world-class competition standards with potential for elite training and competition use. Key features of the venue design include a gymnastics arena, mixed-use sports courts, meeting room facilities and a kiosk. State Government. 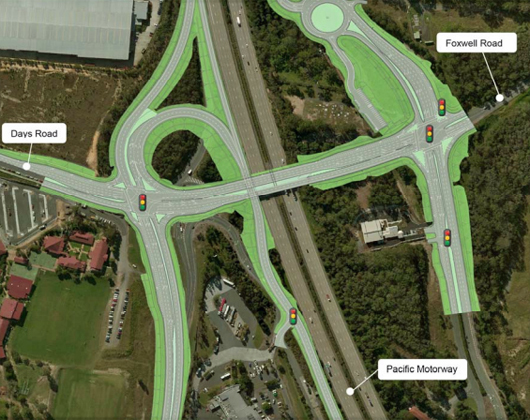 The interchange at Exit 54 of the Pacific Motorway at Coomera will be upgraded to cater for continued growth in the Coomera area. Increased safety for motorists, pedestrians and cyclists. The state government has committed $47.4 million in addition to a $10 million commitment from the Australian Government and $17.3 million commitment from the developers of the Coomera Town Centre.